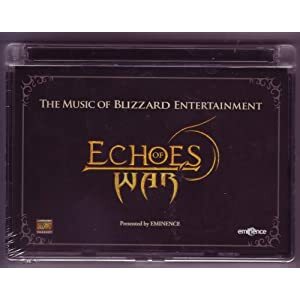 Two discs (that I kno wof, there could be more) of Blizzard Entertainment’s finest video game scores. It is all orchestrated, so it sounds more like a high budget film soundtrack, than a video game soundtrack. Mostly all dramatic or epic battle tracks. My problem is sometimes there’s too many ups and downs or mood changes in a few tracks. I feel like Echoes of War falls into the third category. Mostly being battle tracks is pretty limiting, unless you are planning on an entire session of battles. Also there is not overarching theme or mood or sound to tie all the tracks together.